← Jupiter enters Gemini: Surprise, surprise! I’m happy to announce that, as from today, this ‘Jupiter Meets Uranus’ blog has become an archive. From here, any student of astrology, practitioner, or interested member of the public can access a free e-copy of the book I wrote on the Jupiter/Uranus conjunction of 1997/8 set in its personal and historical context (initial print edition published in 2009 by the American Federation of astrologers). Also accessible directly from this site – just browse the categories on left-hand sidebar – is the whole range of articles I wrote during the 2010/11 conjunction, including a study of the turbulent lives of ten volunteers from across the world ‘plugged in’ to that conjunction – “Tales from the Wild Ride”. I do hope you enjoy both the book and the article archive. I’d be delighted to hear from any of my readers! And if you like my writing, there are many articles on the broad themes of “…mystery, meaning, pattern and purpose…” to be found on my main blog, an archive since May 2016 after 8 years of regular postings : Writing from the Twelfth House. Astrology: Questions and Answers is now my main blog, and is well-stocked with articles on a wide range of astrological topics, with something for all levels of astrological knowledge from beginners to experienced practitioners. AND: check out my other two e-books: Rumbold Raven’s Magic Menagerie, a delightfully illustrated book of quirky children’s poems, and Wisps from the Dazzling Darkness, my memoir presenting an open-minded exploration and analysis of thirty years’ intermittent paranormal experiences. This entry was posted in 0001. Free E-Book: Jupiter Meets Uranus and tagged 0001. 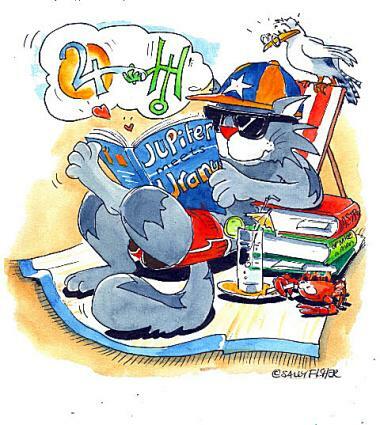 Free E-Book: Jupiter Meets Uranus, AFAN, American Federation of Astrologers, Armand Diaz, astrology, Astrology: Questions and Answers, Centre for Psychological Astrology, Free Stuff, horoscopes, ISAR, Jonathan Cainer, NCGR, Writing from the Twelfth House. Bookmark the permalink. Looking forward to reading this. Do you think a Jupiter and Uranus conjunction has much impact on a PROGRESSED chart? I’m a ’69 child and my Jupiter switches signs to 0′ Libra to join Uranus after this year. It feels like it’s gonna to be exciting and MASSIVE!